Recently, the Harvard School of Public Health released results of a large national survey on health concerns. The single most significant result from the poll was that 92% of all respondents said that lowering the cost of prescription drugs was “extremely important.” Senator Grassley didn’t need to see the poll. He travels to all 99 Iowa counties every year. The Iowa farmer can feel it in his bones when a storm is brewing. The new Chairman of the powerful Finance Committee had already begun to unveil a strategy to deal with the matter. First, he announced that he would introduce legislation with Sen. Amy Klobuchar (D-MN) that would allow Americans to import drugs from Canada for personal use. North of the border pharmaceuticals cost 40-400% less. When we consider that we spent over $500 Billion on Rx drugs last year, this alone could save tens of billions. It will also serve to illustrate just what the Canadian government actually does to protect their citizens from predatory drug pricing. The drug lobby does a marvelous job of distorting the facts. Debate around this legislation will bring the truth to the front. Grassley also signaled that he would revive two other nonpartisan proposals. The first is the CREATES Act. It would crack down on anticompetitive practices that many drug companies employ to stymie the production of generics. The second is a bill to ban the practice of “pay-for-delay.” Pharma companies actually pay generic manufacturers to delay production of off-patent drugs. Frankly, this should have been stopped by existing antitrust laws long ago. The stories of abuse are now legend. Dr. Robert Pearl, writing in Forbes last September illustrated the greed exhibited by the industry. He used the CEO of Nostrum Laboratories to make his point. Nostrum recently raised the U.S. price of their antibiotic nitrofurantoin from $474.75 to $2,392. It was developed back in 1953 and should have gone off patent during the Nixon era. Mr Mulye compared pricing decisions to that of selling “a painting for half a billion dollars”. He was “in this business to make money”. Of course, all businesses are in business to make money. But, none enjoy the monopolistic protections granted to the pharmaceutical industry here in the United States. Note: a three day supply of nitrofurantoin tablets in Alberta sells for $15 Canadian. The American system has been allowed to metastasize into an unaffordable monster. Our political leaders have allowed it. It is long past time for Americans to demand that they change it. This is not a matter of right versus left. It is a matter of right versus wrong. It is simply wrong for our government to allow sick Americans to be held hostage to the predatory prices imposed by these government protected monopolies. 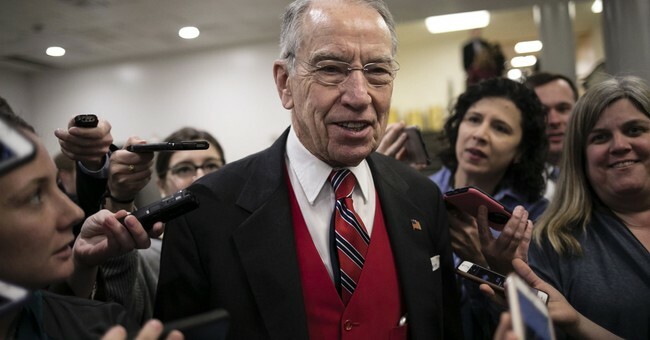 Once again, Senator Chuck Grassley is showing good horse sense. If his colleagues won’t lead or follow, they may well get run over. Gil Gutknecht served six terms in the U.S. House of Representatives from Minnesota. He writes about political and healthcare issues. The above piece contains excerpts from his forthcoming book, PhARMing the USA…How the Drug Companies Milk America.